2	jplist-folder-All-Posts-4768 Partner-Resource-Partner-Resource	jplist-topic-Business-Continuity jplist-topic-Cloud jplist-topic-disaster-recovery jplist-topic-Iaas jplist-topic-Managed-Security jplist-topic-Managed-Services jplist-topic-Network-Infrastructure jplist-topic-Network-Services jplist-topic-Steadfast	0	06/02/2017 13:40:16	Why Partner with Steadfast? If you are a sales representative, please check out this sell sheet to better understand the opportunity that you could be taking advantage of by partnering with Steadfast. 3	jplist-folder-All-Posts-4768 jplist-folder-All-Posts-4768 Live-Webinar-Live-Webinar	jplist-topic-BCDR jplist-topic-Cloud jplist-topic-disaster-recovery jplist-topic-Iaas jplist-topic-Infrastructure jplist-topic-Steadfast jplist-topic-Virtualization	06/22/2017 0	06/02/2017 13:33:09	Steadfast will help you grow your business in the Cloud and win new annual income opportunities! Attend our 30-minute webinar and learn about:•	Full Service Offering - A broad portfolio of cloud, IaaS, managed security, and disaster recovery and business continuity services •	Technical Sales Support - a Steadfast Sales Engineer is available to help throughout the entire sales process•	Attractive SPIFF opportunities, including bonuses for setting up qualified meetings•	Evergreen payouts for services sales, including Microsoft products such as Office® 365 and Azure® Cloud ServicesOur 20 years of expertise in infrastructure services can be yours to help you uncover and develop new long-term customers that will provide you with a lucrative portfolio of evergreen commissions.As an added incentive, attendees can earn a $20 electronic gift card that will be sent at the completion of webinar. NOTE: You must attend entire webinar to be eligible for gift card promotion. 4	jplist-folder-All-Posts-4768 jplist-folder-All-Posts-4768 Sell-Sheets-Sell-Sheets	jplist-topic-BCDR jplist-topic-Cloud jplist-topic-Office-365 jplist-topic-Steadfast	0	04/06/2017 12:08:05	Why Partner with Steadfast? 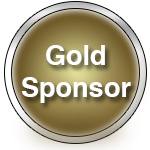 If you are a channel executive, please check out this sell sheet to better understand the opportunity that you could be taking advantage of for you and your team by partnering with Steadfast. 5	jplist-folder-All-Posts-4768 Partner-Resource-Partner-Resource	jplist-topic-Battle-Card jplist-topic-Battlecard jplist-topic-Selling-Sheet jplist-topic-Steadfast	0	03/21/2017 11:37:15	Use this Steadfast Battle Card in conversations with customers to provide high level overview of services ad solutions, differentiators, and qualifying questons. 7	jplist-folder-All-Posts-4768 Promotion-Promotion	jplist-topic-BCDR jplist-topic-Commission jplist-topic-Iaas jplist-topic-Office-365 jplist-topic-Promotion jplist-topic-Spiff jplist-topic-Steadfast	0	03/14/2017 10:40:41	For a limited time, accelerate your earnings potential with Steadfast. Download this flyer for details on two different ways to increase your monthly revenue earnings. 8	jplist-folder-All-Posts-4768 jplist-folder-All-Posts-4768 In-Person-Event-In-Person-Event	jplist-topic-ChannelPro jplist-topic-Chicago jplist-topic-Conference	Rosemont	05/02/2017 0	03/14/2017 10:35:30	Join Steadfast at this full-day live event with some of the top SMB resellers and managed service providers in the country, sharing their insights on the hottest tech solutions in the SMB marketplace today. 10	jplist-folder-All-Posts-4768 jplist-folder-All-Posts-4768 Sell-Sheets-Sell-Sheets	jplist-topic-Cloud jplist-topic-Cloud-Infrastructure jplist-topic-Hosted-Cloud jplist-topic-Hybrid-Cloud jplist-topic-Iaas jplist-topic-Private-Cloud jplist-topic-Public-Cloud jplist-topic-Virtualization	0	03/14/2017 10:20:07	Terminology around the “Cloud” has become confusing for many customer. The good news is that with Steadfast, customer don't need to know all of the nuances of the different cloud environments. Use this sales sheet to discuss how Steadfast can help your customers access their actual needs so that we can help them determine the right cloud(s) for them. Look into how this was a win for the customer, partner, and Steadfast. Look into how this was a win for the customer, partner, and Steadfast! 11	jplist-folder-All-Posts-4768 jplist-folder-All-Posts-4768 Case-Study-Case-Study	jplist-topic-Active-active jplist-topic-Baas jplist-topic-Back-Up jplist-topic-Backup jplist-topic-Cold-Site jplist-topic-disaster-recovery jplist-topic-DR jplist-topic-DRaaS jplist-topic-Hot-Site jplist-topic-Replication jplist-topic-Rpo jplist-topic-Rto jplist-topic-Veeam	0	10/11/2016 11:32:55	Look into how this was a win for the customer, partner, and Steadfast! 12	jplist-folder-All-Posts-4768 Product-Literature-Product-Literature	jplist-topic-Cloud jplist-topic-Cloud-Security jplist-topic-DDOS jplist-topic-Encryption jplist-topic-Firewall jplist-topic-IDS jplist-topic-IDS-IPS jplist-topic-IPS jplist-topic-Log-Management jplist-topic-Network-Security jplist-topic-Security jplist-topic-SSL-VPN jplist-topic-Vpn jplist-topic-Vulnerability-Scanning jplist-topic-WAF jplist-topic-Web-Application-Firewall	0	05/02/2016 14:08:25	Steadfast offers a LOT of security products. How do you keep them all straight? Well, we made you this Steadfast Security Suite Cheat Sheet! Learn the definitions of our products, the buzzwords to listen for, and what sets Steadfast apart from the competition.Don't worry. There won't be a test. You can always look at your cheat sheet. 13	jplist-folder-All-Posts-4768 Article-Article	jplist-topic-Compliance-Consulting jplist-topic-Data-Security jplist-topic-DDOS jplist-topic-DDoS-Protection jplist-topic-Email-Security jplist-topic-Encryption jplist-topic-IDS jplist-topic-IPS jplist-topic-Log jplist-topic-Managed-Firewall jplist-topic-Management jplist-topic-Scanning jplist-topic-Security jplist-topic-Security-Consulting jplist-topic-Ssl jplist-topic-SSL-VPN jplist-topic-Vpn jplist-topic-Vulnerability jplist-topic-WAF jplist-topic-Web-Application-Firewall	0	03/30/2016 16:37:23	The Steadfast Security Suite Overview serves as a quick glance at all of our Security products. Learn more about Steadfast's consultative approach to a complete IT Security Solution. 14	jplist-folder-All-Posts-4768 Article-Article	jplist-topic-Cloud jplist-topic-Differentiators jplist-topic-It jplist-topic-IT-Consulting jplist-topic-IT-Differentiators jplist-topic-Private-Cloud	0	03/30/2016 15:23:15	Learn about what makes Steadfast different: our Flexibility, Technical Expertise and Consultation, and Personalized Service.We compare ourselves to our competition, including cloud services from telecom companies, direct competitors, major public cloud services, and even keeping IT infrastructure in-house. 15	jplist-folder-All-Posts-4768 Product-Literature-Product-Literature	jplist-topic-Backup jplist-topic-Backup-Retention jplist-topic-Cloud jplist-topic-Cloud-Connect jplist-topic-Data-Center jplist-topic-disaster-recovery jplist-topic-Hyper-v jplist-topic-Replication jplist-topic-Veeam jplist-topic-Vmware	0	02/04/2016 17:42:38	Steadfast, a Silver Veeam Cloud Provider, is proud to offer Veeam Backup and Replication for customers utilizing Hyper-V and VMWare hypervisors, both inside and outside our data center facilities. 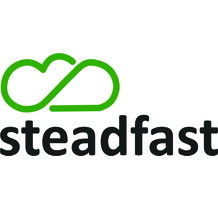 As a premiere infrastructure provider, Steadfast is able to provide several different Veeam Backup and Replication offerings, tailored to any business, for backup retention and disaster recovery needs. A two-page overview of Steadfast, a cloud services firm, and our many products. 16	jplist-folder-All-Posts-4768 Article-Article	jplist-topic-Cloud jplist-topic-colocation jplist-topic-Data-Center jplist-topic-Dedicated-Server jplist-topic-Infrastructure jplist-topic-It-Infrastructure jplist-topic-Security	0	02/04/2016 17:28:31	Steadfast is a cloud services firm that focuses on being the IT experts for businesses of all sizes by providing flexible, well-designed, managed IT infrastructure solutions, including: private cloud, hybrid cloud, public cloud, dedicated servers, colocation, security, and network services.Learn more about us, our products and partner opportunities in this concise, 2-page overview.